Finally, after a very long wait we get to play Barnsley tomorrow night. As everyone will recall the original game was postponed again as a result of our shocking pitch. 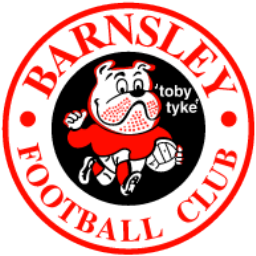 At the time the Tykes were in a shocking run of form and there was every reason to assume we would have won. Sadly things are a tad different now and there is real pressure on the outcome for both teams. Following a rather abject performance on Saturday Jose Riga will be expecting a lot more from his players. It's been a long and frustrating season and the recent schedule of twice weekly games must be taking its toll. However, the team simply has to get itself up for this one and strain every sinew to get a result. Another 1-0 win for us will do fine. The one bright spot from Saturday was the return of Solly. It is to be hoped that he's fit enough for tomorrow evening. His return will, of course, allow Wilson to push forward into right midfield. That is, if Riga chooses to play him there. I think most Addicks would want to see him do so. The defence and midfield is likely to be pretty unchanged save for Wilson as mentioned. It's up front that's difficult to predict as those selected change from game to game. That's not just from the starting eleven but the the squad. Some players have started, played the full ninety even and then not featured at all in the next game. I'm not sure if this is with the aim of keeping players keen and resting them or Riga just doesn't know who his best forwards are. My heart will sink if Church is involved in any way. No offence but we need goals not just endeavour however honest it may be. I still believe that Petrucci has something to offer and would like to see him on the bench at least. We may need the creativity that I feel he can offer later on in the game. One senses a tight and nervy affair. Of course we'd love to see the lads go into a comfortable lead early doors but we simply don't do comfortable do we ! In any case I'd be very surprised if we witness anything like the 5 goals we saw in the last home game. A win tomorrow is a massive step towards safety but you just know that it won't be that straightforward - this is Charlton after all ! We really need everyone pulling together tomorrow and giving total support. Please God that we can get those vital 3 points.